Fill your world with new and hostile mobs by installating this modification at you Minecraft game. Dungeon Mobs 1.12.2 adds new mobs that, first of all, won’t be friendly with you. This Minecraft modification is introduced as like Mo’Creatures but with hostile entities towards your character. A total of 16 new mobs added by this mod. Each of these mobs are really cool and awesome with super special powers! And they have different characteristics to give a challenge for you to think tactically about how to overcome difficulties. 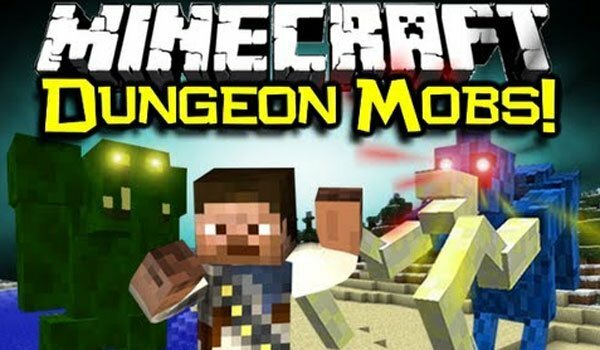 How to install Dungeon Mobs Mod for Minecraft 1.12.2? A lot of new awesome cool mobs to your Minecraft!